But first let’s quickly talk seam finishes. You're welcome to sew the seams together the regular way (ie. 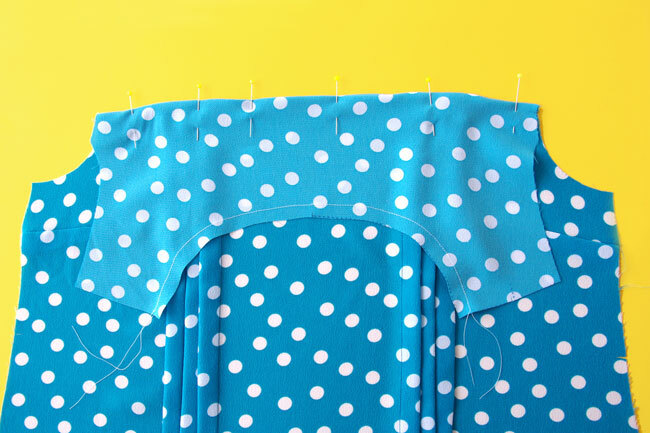 right sides together) and finish the seam allowances using zigzag stitch or an overlocker (serger). 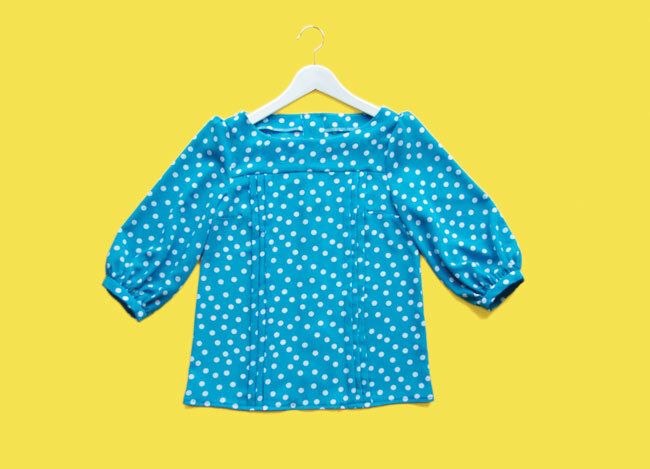 I'd suggest you try French seams on this blouse, as they suit lightweight fabrics really nicely. I mention this now, because if you go with French seams you’ll be constructing the bodice in a slightly different way to “normal” sewing where you stitch right sides together with a regular seam allowance. 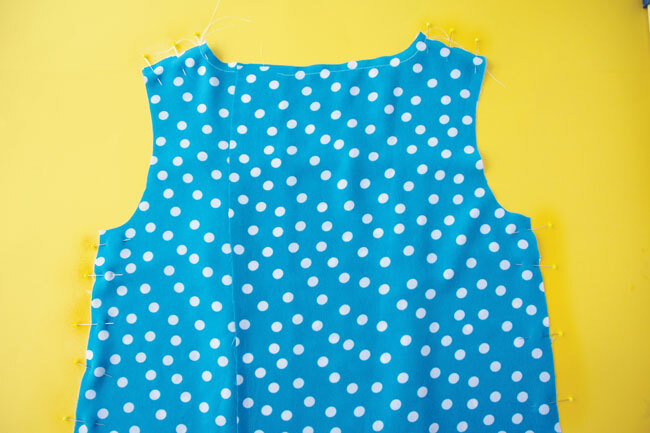 Find out how to sew French seams. Sew the yoke to the front bodice and press the seam allowances up towards the yoke. Sew the front bodice to the back bodice at the shoulders and the side seams, and press the seam allowances towards the back.